Collaboration is a big part of what we do. It's integrated into our programs— connecting with schools, farmers, and our community. We also love creating strategic partnerships on important projects because we know that food system change is bigger than what any one organization can do. Richard has been involved in the Farm to Plate Network since its inception in 2009, co-hosting the stakeholder input gathering in Brattleboro. Currently he is in his 3rd year as co-chair of the Aggregation and Distribution Working Group, which brings together industry leaders in the sector to share information and engage in higher level strategic conversations about the state of aggregation and distribution. This work not only connects leaders across the state but also sets some direction for statewide and local projects. Prior to this role, Richard was the Co-Chair of the Food Access Cross Cutting Team. 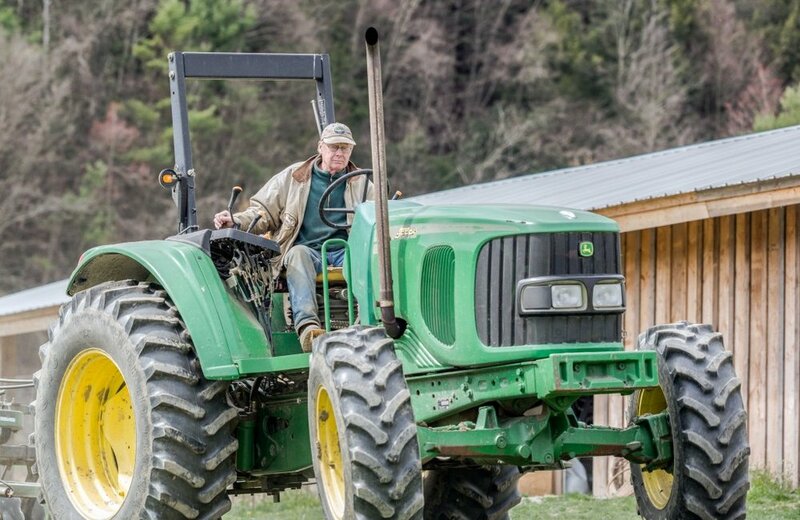 Both of these roles meant that he was a member of the Farm to Plate Network Steering Committee, which has an even bigger picture food system perspective for Vermont and New England. Through these meetings, high level issues are discussed. It’s like being at top level food system strategic meetings. Food Connects believes firmly in the power of collaboration and networking and this extends to local food distribution. After piloting a Central New England Food Hub Network in 2017, FC has continued to build relationships with other food hubs and local food distributors throughout New England. The goal is to build an interdependent and decentralized network that can be mutually beneficial. Product exchange has taken place when one region has a product that another doesn't, thus creating win-win-wins for producers (looking for new markets), customers (looking for local products), and distributors (looking for efficiencies). Thanks to support from the John Merck Fund, Food Connects will be working with Karen Karp and Partners to co-host the inaugural New England Food Hub Network Convening at the FINE Summit in 2019. One outcome of participation in the Vermont Farm to Plate Network was the learning that Food System Workforce Development has risen to become one of 5 priorities for the statewide network. As a result, Food Connects has been partnering with FTP and BDCC on developing a WEB partnership for Windham County to better connect (W)orkforce Development agencies, (E)ducational organizations and (B)usinesses. Food Connects and BDCC have been moving forward an initiative to use the new Talent Pipeline Management tool to engage and build a WEB.